Back in high school, a former student came with his A Cappella group from Yale to perform. That was my first introduction to the quintessential college A Capella experience. Since then, I have always loved the genre. Once I got to college, my friends and I made sure to attend every Chorduroys (all-male) and Cadence (all-female) concerts. I don't know what it was about the performances; and as someone who isn't, and never really was into music I got a chill during a really great A Capella song. Plus, the groups always made it fun by adding lots of humor into their songs. 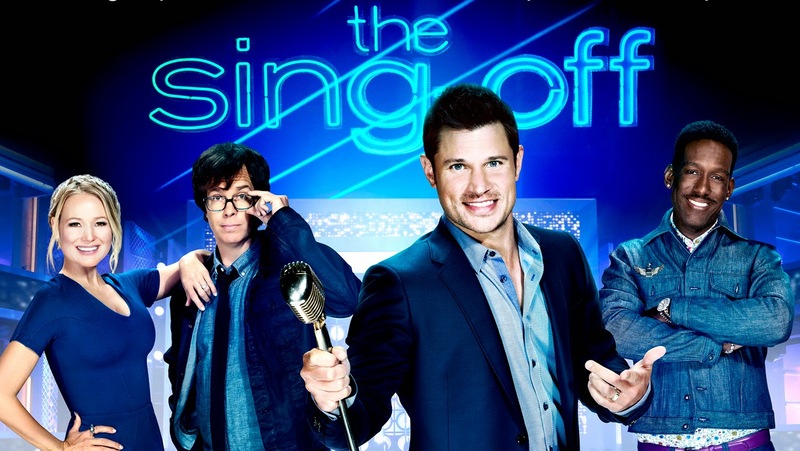 When a few years ago the first season of The Sing-Off aired, since it aired over the holidays when all other of "my shows" are on hiatus, I tuned in and really enjoyed all the performances. Three weeks ago the fourth season started and I am a huge fan of this season. First of all, they replaced Nicole Scherzinger (a Pussycat Doll) with Jewel - a big upgrade, secondly they added more teams and lastly they changed the format a bit to include a "sing-off" for the two bottom teams to determine which one gets eliminated. The earlier seasons featured a lot of existing college groups which is great, but the groups always had some weak spots. A few people who couldn't really sing or dance or something. This season has more or already established groups or groups of professional singers (ie Theme park show-performers) who come together to make a much more polished team. I'm usually not one for reality television, but this show avoids focusing and creating drama for no reason. It seems like all the teams genuinely get along and the judges are the ones who actually get to decide who stays and who leaves avoiding the need for alliances or enemies or stupidity. Also, the judges, especially Ben Folds, really know what they are talking about. As an added bonus the outfits the performers wear are AMAZING! And the winner is.... Home Free!! They were Shariously great the entire season and are the only team that never went to a sing-off duel for a chance to be eliminated. I knew they would win. Good Job!